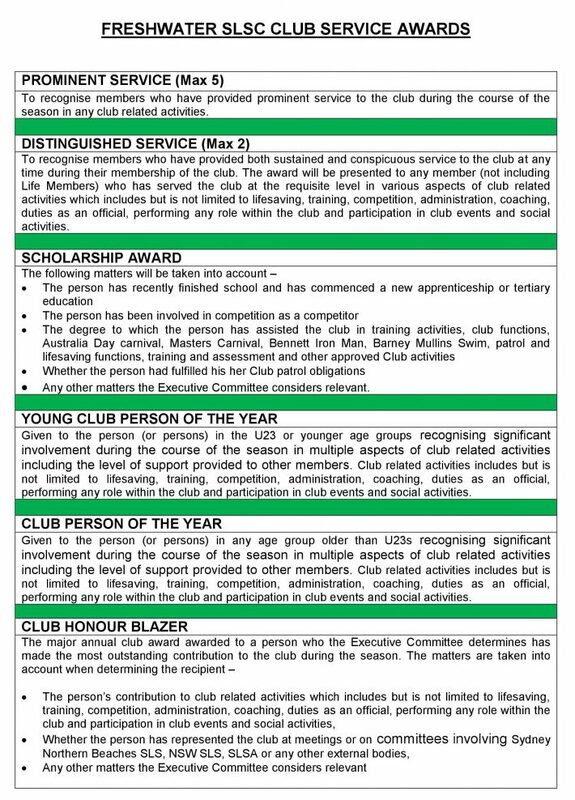 The Awards Panel is seeking nominations of members who you would like to nominate for the various club service awards which are handed out each year at the Presentation evening. A list of the various awards and the qualification requirements are set out below. This year a new Awards Panel has been established to receive, assess and make recommendations to the Executive Committee in relation to all of the awards with the exception of the Distinguished Service Award. Recommending the recipient(s) of this award will remain the responsibility of the club Honours Panel. All members are encouraged to get involved in the process by putting forward nominations for the awards. If appropriate, the same reasons can be relied on to nominate people for more than one of the awards which appears on the list.